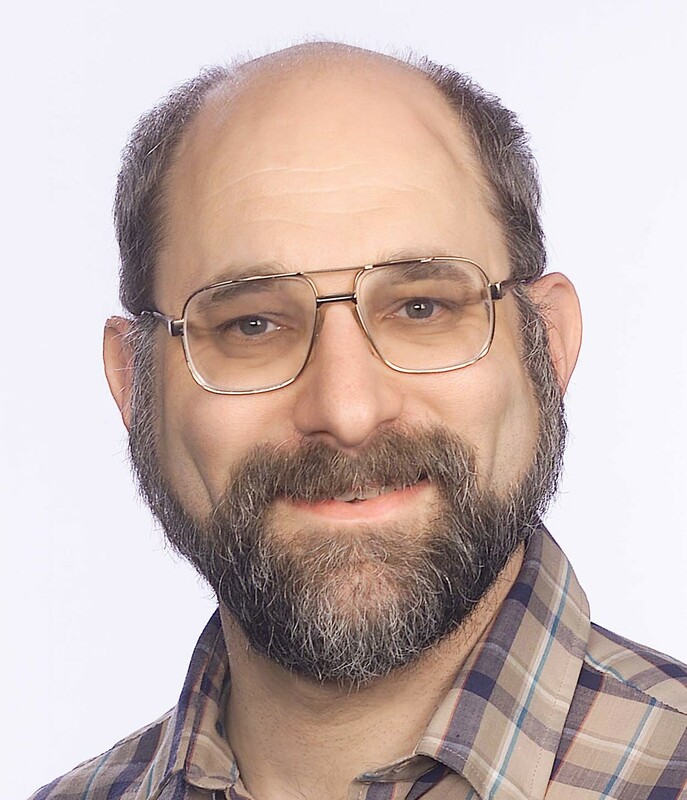 Dr. Curtis Menyuk specializes in the theory and simulation of opitcal and photonic systems. He is currently interested in short-pulse lasers and time and frequency transfer networks. Twenty-five years ago, Dr. Curtis Menyuk became the founding member of the Electrical Engineering Department when he came to UMBC as an associate professor. Now a professor, he specializes in the theory and simulation of optical and photonic systems, including optical-fiber communication systems, short-pulse lasers, semiconductor devices, and optical wave guides. A fellow of IEEE, the Optical Society of America, and the American Physical Society, Dr. Menyuk has been interested in lasers for more than twenty years and pursues research in an extensive variety of application areas. “One of the central themes in my career has been an interest in solitons,” he says. Solitons, explains Dr. Menyuk, are “pulses that move through a medium and due to some combination of non-linearity and dispersion they don’t change shape.” Dr. Menyuk’s interest in solitons sparked in the eighties when he was participating in collaborative research with Linn Mollenauer, who in 1988 first demonstrated that solitons could exist in optical fibers. Currently, Dr. Menyuk is studying models for passively modelocked lasers that are carrier envelope phase locked. “What this means is that these lasers produce extremely short pulses on the order of 100 femtoseconds (a millionth of a billionth of a second) or less, and they’re used to make very good clocks and very accurate frequency measurements,” explains Menyuk. These lasers are useful for sensing, telecommunications, and defense and medical applications. He has been collaborating with researchers at the National Institute of Standards and Technology (NIST) in Boulder, Colorado on related projects. About two years ago, Dr. Menyuk became interested in the problem of transferring highly accurate time and frequency information from one place to another. He illustrates this problem by using the example of trying to discover earth-like planets in space by looking for the specific frequencies that water molecules give out. If an accurate frequency counter searching for water molecule frequencies is located in lab A, and the telescope is sitting in lab B, then the data needs to be consolidated into one location, he explains. “I’ve gotten very interested in how you get this data from point A to point B,” says Menyuk, who explains that the current TCP/IP method for transferring information between computers is asynchronous and slow. Working with the Department of Defense, Dr. Menyuk hopes to develop more efficient time and frequency transfer networks. In addition to his main research projects, Dr. Menyuk has been working on optical waveguides with the Naval Research Laboratory, good radio frequency oscillators with the Army Research Laboratory and free-space communications with the Johns Hopkins University Applied Physics Laboratory. He is a member of UMBC’s Computational Photonics Laboratory, where together with Dr. John Zweck, Associate Professor of Mathematics and Statistics at UMBC, and a team of lab colleagues, he developed PhoSSiL: Photonics System Simulator Library, a library of C++ classes used to simulate photonics systems.